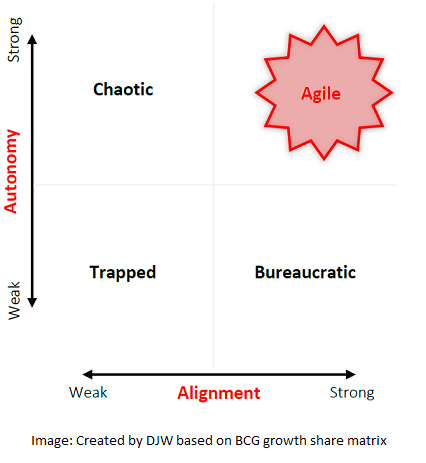 To unlock the full potential of our organisation, we have decided to introduce “agile” management processes to DJW! In small, powerful teams (“squads”), we are working on various topics. All squads set their own goals, which they work towards within a predefined timeframe. They include fulltime and voluntary team members (at least one board member, one full-time DJW staff as well as dedicated members). In contrast to traditional teams, hierarchies are set aside and squad members are free to act more or less independently of others (“autonomy”), as long as it is in accordance with the wider objectives and guidelines of DJW (“alignment”). In this way, we are able to quickly react to the latest trends and developments. The squads use English as a their working language and organize virtual or in-person meetings by themselves (regular, but well-focused, approx. once every quarter). The next squad meetings are planned to be held prior to our next members' assembly and symposium in Nuremberg on May 14th and 15th, as well as our symposium in Tokyo on October 2nd, 2019. If you are interested in actively participating in one of our squads, please contact our managing director, Dr. Julia Münch (muench@djw.de).